A site extending to circa 1.5 acres fronting Longfield Road on the North Farm Estate in Tunbridge Wells. This is the main commercial area for the town accommodating the vast majority of retail warehousing and car dealerships in addition to being the prime industrial eastate. Longfield Road is access via the A21 which is currently being upgraded to a dual carriageway. The site is being progressed jointly with Tarncourt. Retail, Trade or dealership opportunity. Excellent location opposite the Fountains Retail Park. Adjacent to a proposed new Wickes store. Available on a leasehold or freehold basis. 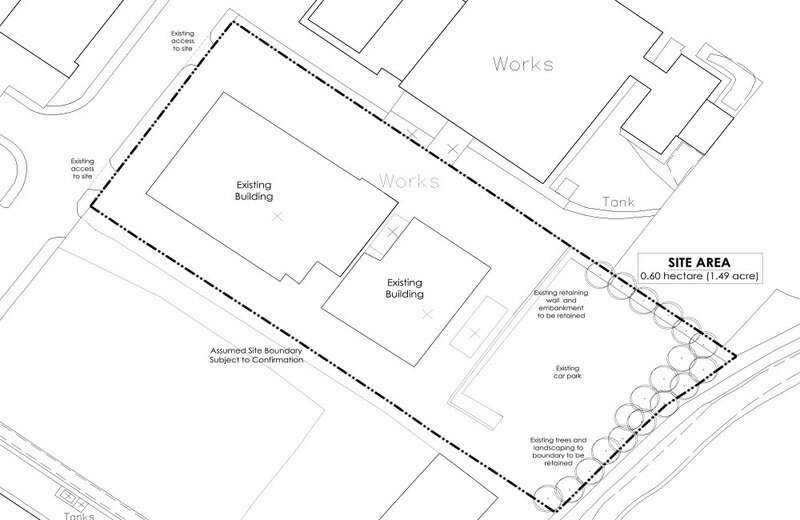 The OS extract shows the site boundaries, the area extends to approximately 1.5 acres. Planning permission has been obtained for a new car dealership, however the site is equally suitable for retail and trade uses. The site fronts Longfield Road which accommodates the vast majority of the towns’ retail warehousing, with all car dealerships on Dowding Way accessed via the roundabout close by. Longfield Road also links the town centre to the A21 which is now being upgraded to a dual carriage way. The Fountains Retail Park is opposite with tenants including M&S, Halfords & Pets at Home. A new Wickes store is behind developed adjacent with Asda diagonally opposite.